90% of Philips' 2019 TVs will have HDR10+ and Dolby Vision | What Hi-Fi? 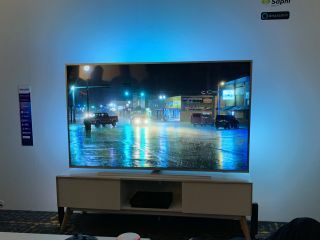 We are used to the most advanced HDR formats being restricted to the most advanced TVs, but Philips has announced that 90 per cent of its entire 2019 TV range will support both HDR10+ and Dolby Vision. So, while you might fancy the new OLED 804 or OLED 854, to get the full suite of HDR formats you need only buy a 6000-series TV. Pricing hasn't yet been announced, but the 2019 6000-series (6704 and 6754) will be available at sizes starting at 43in (it'll also come in 50in, 55in, 65in and 70in versions), and last year's 43in 6000-series model, the 43PUS6703, launched at around £400. So, it seems likely that you'll be able to buy a Philips TV with HDR10+ and Dolby Vision for well under £500. Dolby and Samsung have suggested that both Dolby Vision and HDR10+ actually benefit mid-range screens even more than flagship sets, with the picture being specifically tailored to the specs and limitations of the individual sets. We're looking forward to putting that theory to the test when we get the 2019 6000-series TVs in for testing.